Jeanine Bribosia founded The Cru in 2010 after identifying a gap in the market for a full-service communications and media agency specialising in the premium food, drink and hospitality industry. With more than 14 years' experience in media and communications, Jeanine has established The Cru as a respected and recognised communications agency. She stayed true to her original vision and rapidly cemented The Cru’s reputation as an agency valued for expertise, credibility and consistency. The business now boasts a portfolio of clients unsurpassed in the hospitality and destination sector and a team of senior staff valued for their specialist industry expertise from communications to marketing, publishing to sponsorship. Prior to founding The Cru, Jeanine worked in advertising, journalism, events and public relations at ACP (now Bauer) and Liquid Ideas PR agency, and attended the prestigious Medill School of Journalism at Northwestern University, Chicago. She chairs the Advisory Panel of Two Good Co, and is co-director and founder of The Pass food podcast, Australia’s number one food podcast on iTunes. Shannon specialises in media strategy, client servicing, campaign management, and has a contact book for the industry like no other. During his 12 years in publishing, events and PR, he has worked with some of the world’s most acclaimed chefs and food personalities. In his time at The Cru, Shannon has been the account lead on clients including Tourism Australia and The World’s 50 Best Restaurants, Noma’s global PR, Bentley Group, Matt Moran’s Solotel Group and Sepia Restaurant. Sally's extensive career has included senior media and publishing roles in food, travel and lifestyle. She was food publisher at Murdoch Books, deputy editor of Travel + Leisure and Vogue Entertaining + Travel, and is the author of nine Lonely Planet guides. Sally has spent many years reviewing restaurants for both Good Food and Good Weekend and is a regular contributor to Fairfax’s Traveller. She is also director of Travel Without Tears, specialising in inspiration, advice and bespoke trips for families. 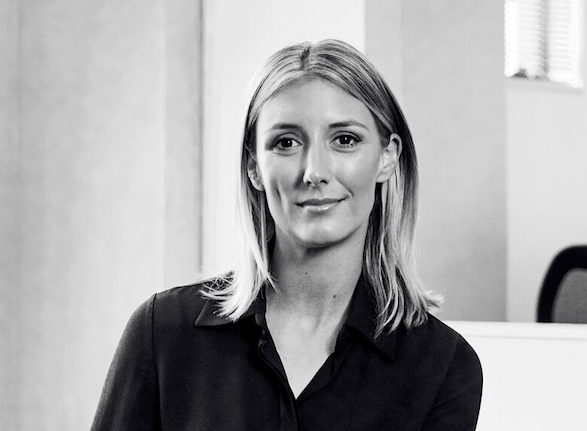 Sophie has been a PR specialist for more than a decade, working with prestigious food, wine and hospitality clients such as Merivale, Laurent-Perrier, Nomad, Hilton Sydney, Simon Johnson and Luke Nguyen. At The Cru, she specialises in client management, media strategy, events and cross-promotional strategy, with key clients including IMG Culinary (Taste of Sydney and Margaret River Gourmet Escape), Fairfax Events, Guillaume Brahimi, David Thompson, Mike McEnearney, Morgan McGlone and Airbnb. Jasmine Cook is a specialist in integrated marketing and communications strategy for hospitality, tourism, destination and lifestyle brands. In 2015, she was named Communications Associate of the Year in the highly contested HM Awards. Jasmine has delivered successful campaigns for leading hotel brands Four Seasons, InterContinental, and Crowne Plaza and tourism bodies including Destination NSW, Tahiti Tourisme, Rail Europe and Switzerland Tourism.